Banana flavor comes with a burst of sweetness. The enriching and appealing satisfying taste is undeniably different and soothing. Add a burst of banana flavor to your drink and food to savor the sweetness outcome. 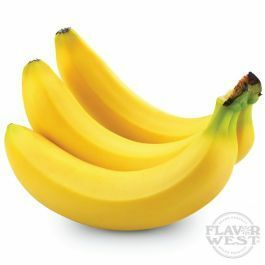 Type: Bananas Water Soluble Flavoring. Ingredients: Natural and Artificial Flavoring, Propylene Glycol. USP Kosher Grade Flavoring. Usage Rate: 15-20% for E-use. Flavor suitability: Desserts, pastries and baked treats, yogurt, ice cream, candy and more. Specific Gravity: .99 No Refunds on Flavoring. Taste just like it sounds! I recommend it!